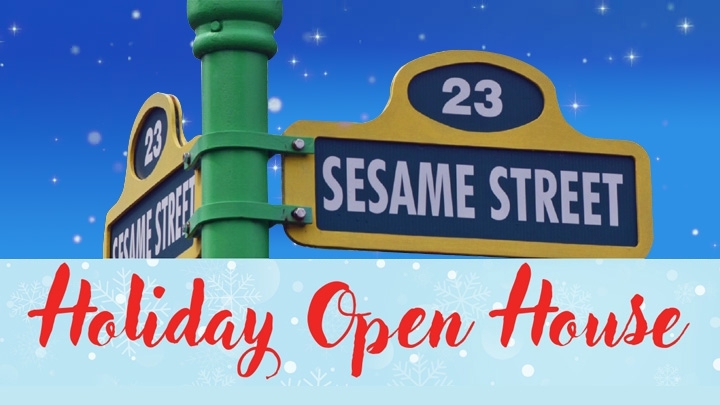 Come in from the cold and enjoy some hot chocolate, cider and cookies on Sesame Street. Meet the folks who make the programs happen behind the scenes at your Community Idea Stations and find out about the programming for lifelong learners coming up on PBS and NPR. Saturday, December 8 • 10:00 a.m. to 12:00 p.m.
Tour your public radio stations. See one of the largest TV Studios on the East Coast and meet the new host of Virginia Currents, Amy Lacey. Learn about our PBS KIDS and Science Matters educational outreach programs and take home activities to do with your kids. And, of course, there will be plenty of public radio and tv swag for the adults as well! No registration required. We look forward to seeing you!